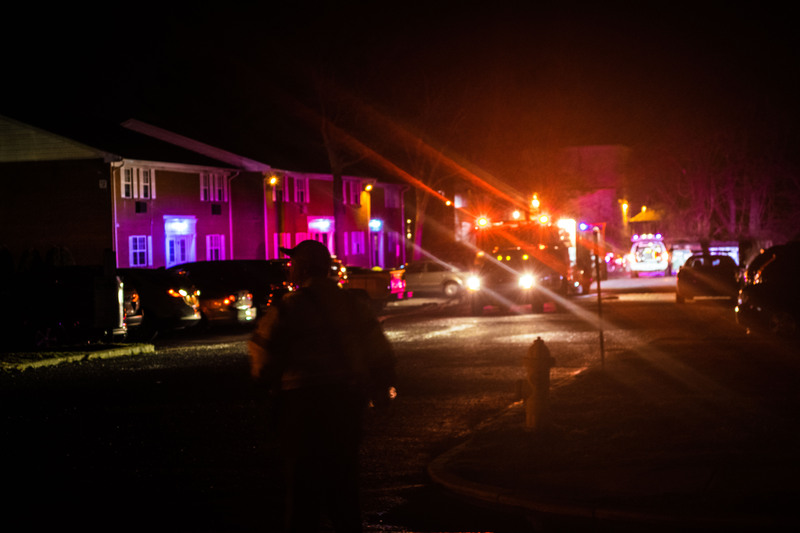 Cooking oil that had been left unattended in a pan was responsible for starting a late-night fire Thursday that broke out in Building 22 of the Jamestowne Village apartment complex. Inspector Kevin Britton of the Toms River Bureau of Fire Prevention, along with Travis Seaman of the Toms River Police Department and Chris Bonner of the Ocean County Prosecutor’s Office were able to determine the origin of the fire, which broke out after 11 p.m., to be in the kitchen on top of the stove in Apartment No. 5. The fire started due to “unattended cooking oil in a pan, which had ignited,” a statement said. Officials said the first floor apartment where the fire started sustained heavy fire damage along with smoke and water damage. The second floor apartment received minor fire damage, but heavy smoke and water damage. Britton has deemed the building unsafe for habitation. One occupant of the first floor apartment received second-degree burns on their hand – the only injury that resulted from the blaze. The fire was fought under the command of Chief Mike Muttie and with assistance from Pleasant Plains Fire Company, Silverton Fire Company, East Dover Fire Company, Island Heights Fire Company, Bayville Fire Company and the RIT Team. The fire was knocked down quickly.